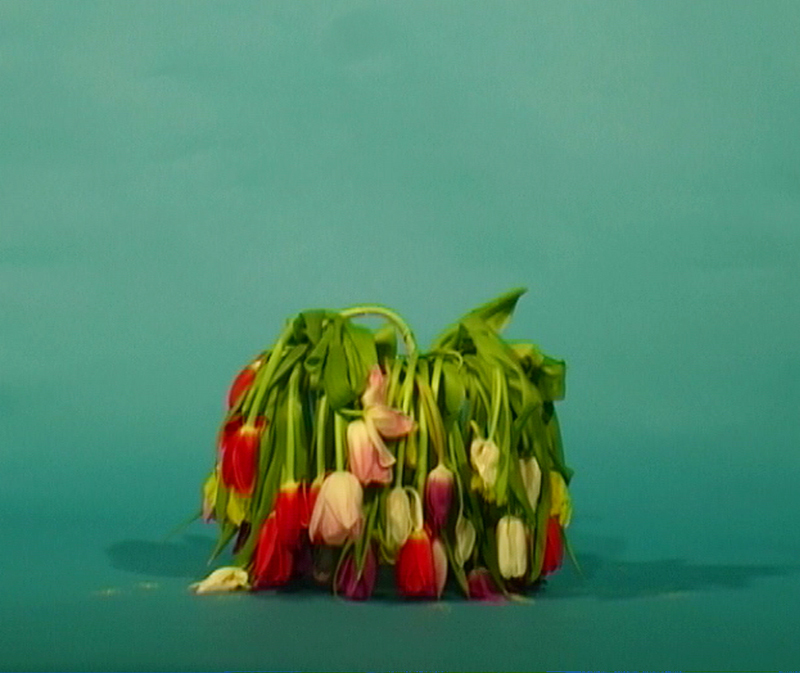 Love After Life/Life After Death is a stop motion video where flowers were filmed dying over an 8 day period. The footage was then reversed during editing. 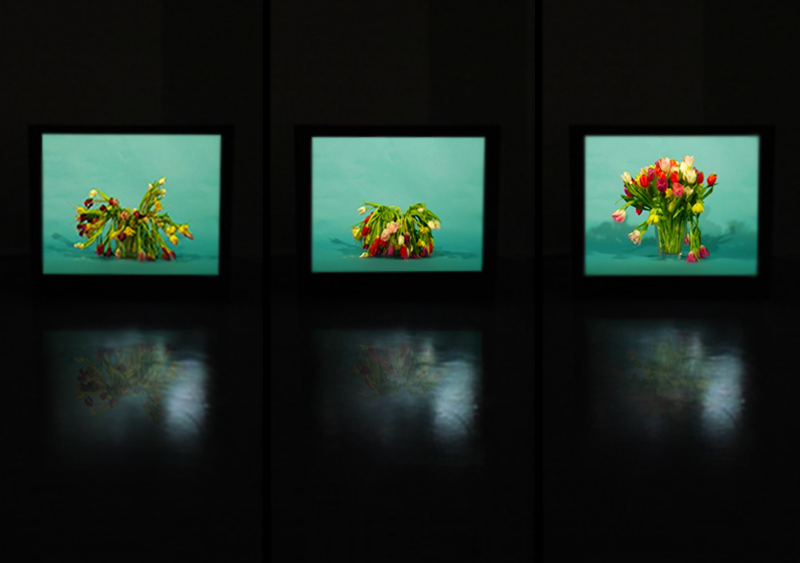 The video shows the flowers dead at the beginning but while the viewer is in the gallery, the flowers very slowly and very subtly come to life, ending in full bloom.